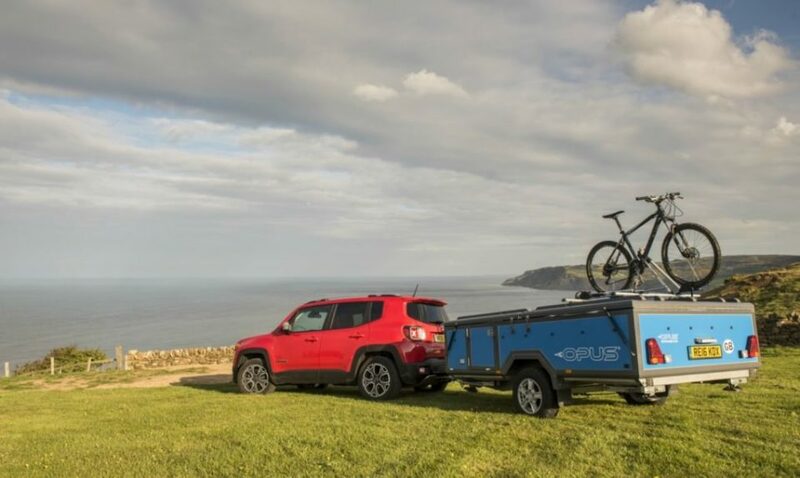 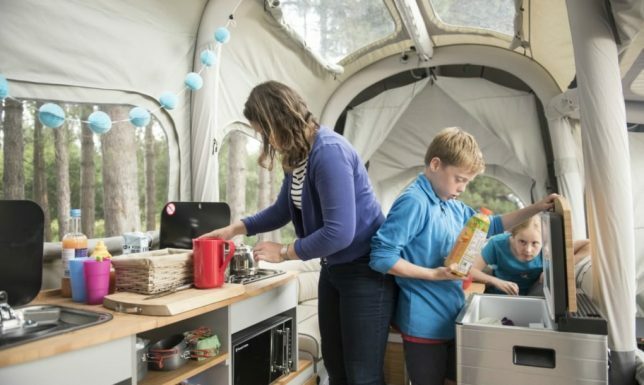 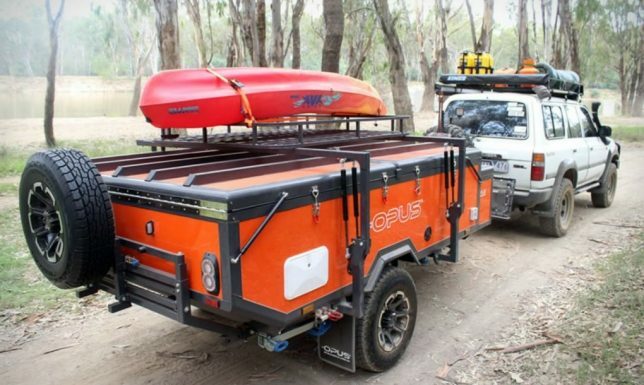 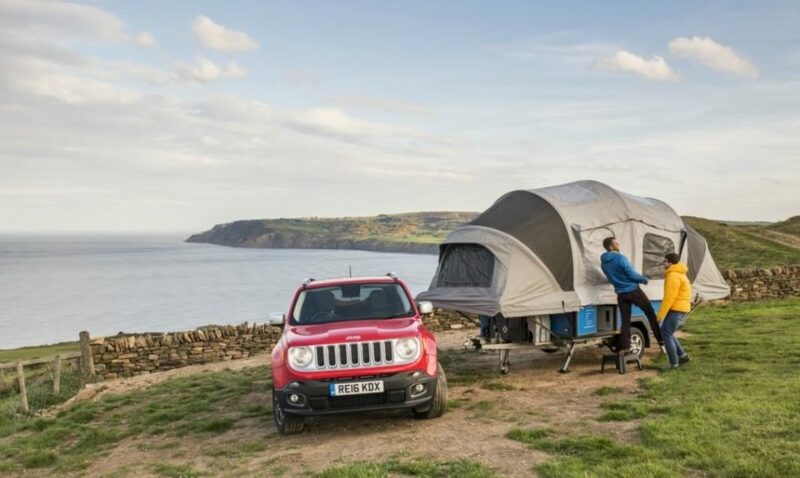 The Air Opus Camper packs down into a surprisingly tiny trailer box easily towed behind a vehicle, but deploys automatically in less than two minutes (then folds back up in just 30 seconds). 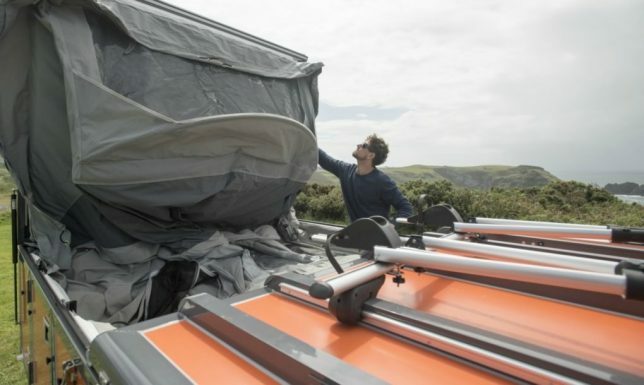 Using what the company calls “Air Pole Technology,” the pre-inflation process is pretty straightforward: the top panels are flipped outward and a quick-release lever pulled. 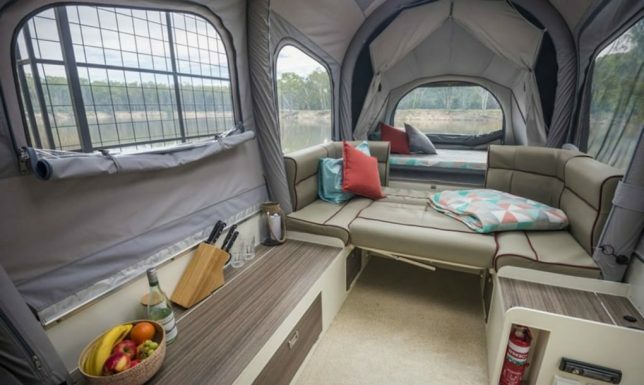 Once it is open, a few bed supports need to be snapped into place for sleeping, but the structure is otherwise self-contained and essentially ready for use immediately. 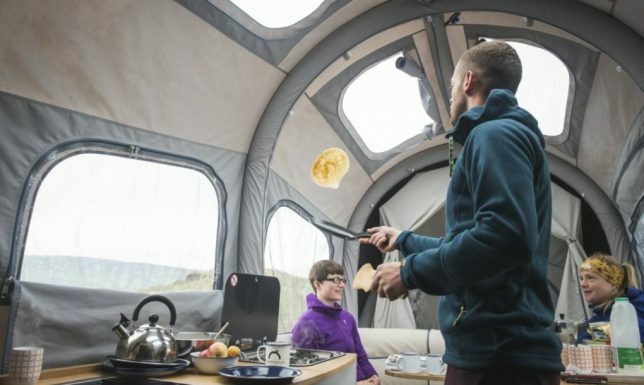 By folding both upward and outward, the design makes maximum use of a small initial footprint, roughly doubling usable area within once it is set up. 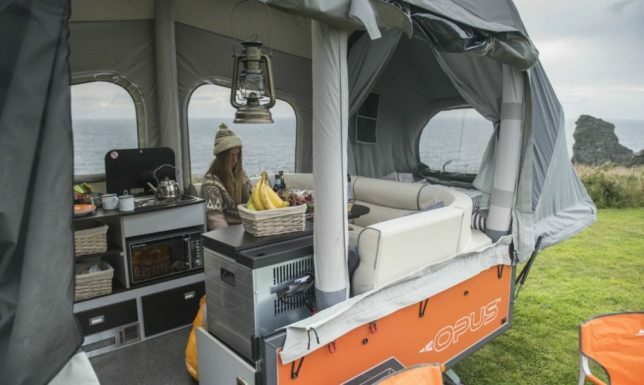 Furniture, meanwhile, is a combination of of inflated and folding, again to minimize spatial requirements, helping make the whole setup more compact for travel. 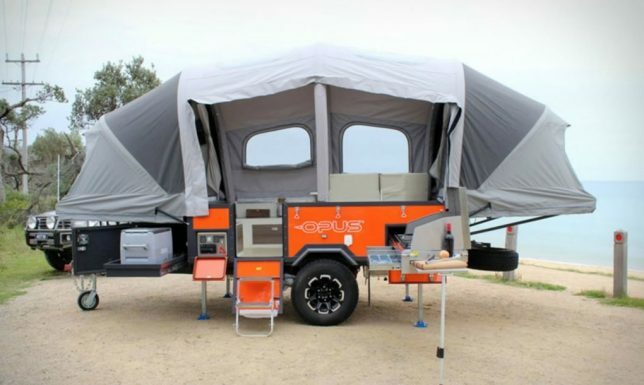 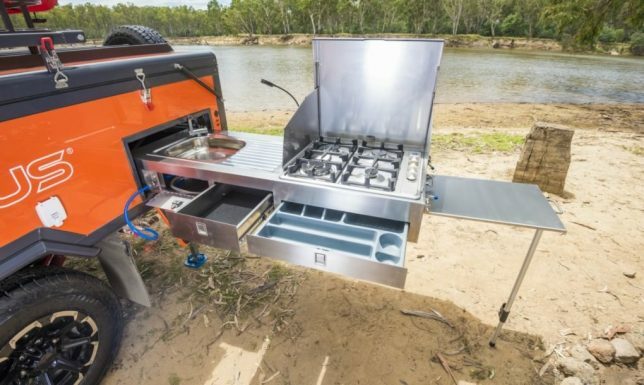 The camper retails for a bit over $20,000, so not cheap, but it offers a lot of space illuminated by built-in windows and skylights, plus a pull-out kitchen and grill for outdoor cooking (which also helps free up interior space for living and sleeping).